This beautiful yet melancholy piece written in the late 1700's is considered one of Beethoven's most recognizable themes. This intermediate guitar solo is arranged in classic finger style by Robert Tarchara. 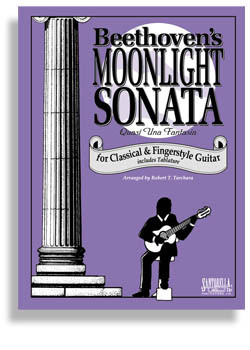 The Moonlight Sonata For Classical Guitar is only available from Santorella Publications.